Dry-cured pork saucisson sec, ready-to-eat, shelf-stable and handmade naturally without nitrates, nitrites or preservatives. With its meaty texture and delightful flavor, this cured sausage is a must for any charcuterie board and makes for a delicious snack on its own. 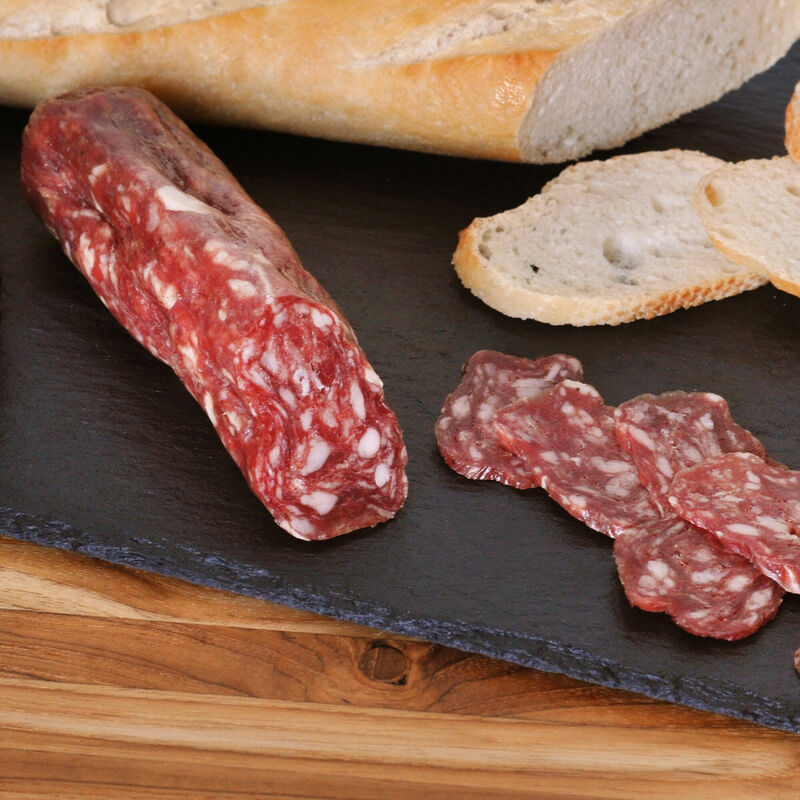 Serving Tips: Saucisson sec is the perfect addition to a charcuterie board or cheese plate. Slice very thin at an angle and serve with grainy mustard on the side. 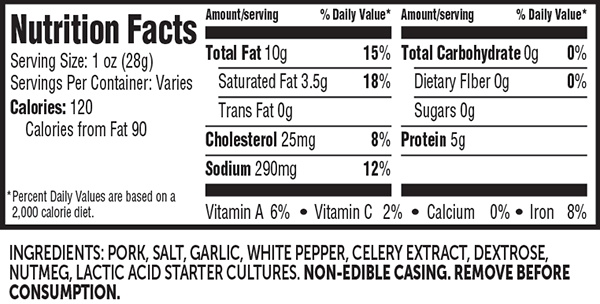 You can also use saucisson sec in any recipe that calls for salami. Cut the sausage into thin batons and add to a salad, slice thinly for pizza and grilled flatbread, or make a simple tartine of saucisson sec with black truffle butter on a baguette.